Losing weight is now a problem shared by everyone around the globe. The solution is inside this book. Can walking help me lose weight? Absolutely. Read the “Slim Body” Impressive Results Of Walking 5 Miles Daily, and learn Step by Step how can you simply lose about 450 calories daily. 5. How Many Calories Walking Burn? Determination today leads to success tomorrow! So put one foot in front of the other, and you'll get to the end. Do your best for you. 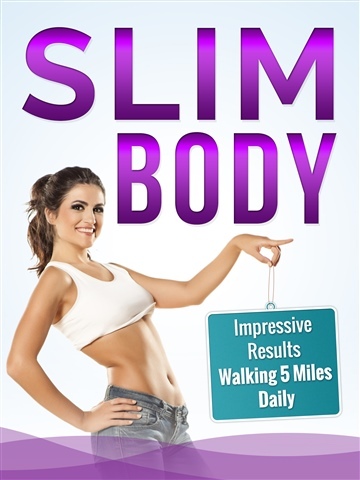 Click the BUY button to download and begin reading Slim Body today! Tags: Weight Loss, Walking, Exercise, lose Weight, Burn Fat, Walking For Weight Loss, Get Slim, Dieting, Body & Mind.